Here’s a fun hint if you find you missed the Farmer’s Market this week and would like to know what produce might be from local suppliers. Look for the banana boxes! 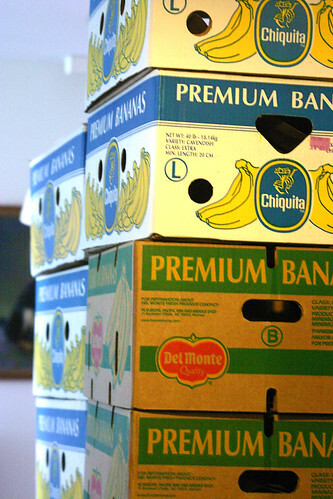 Local farmers use old banana boxes (supplied by Woodmans) to pack their produce in. So if there are tomatoes in a banana box, they’re local. If they are in a tomato box, probably not. Your store might be different – so the general priniciple could be, If the box doesn’t match the contents, rejoice! You are probably buying from a small local supplier. Previous PostManaging Population – Kerala (India) does it right…Next PostHelp! My Brain is Under Attack!